•This wall hung shelf system can use wire, solid metal, slotted polymer, solid plastic, or wine bottle shelves. 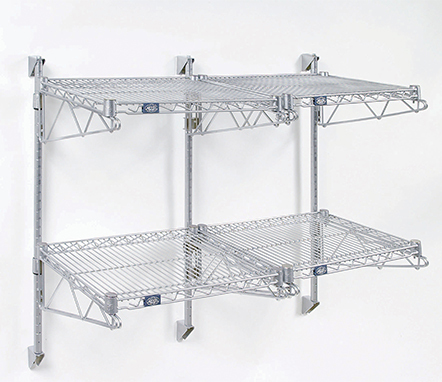 Wire shelves have a weight capacity of up to 600 lbs. each*, however it depends on how they are secured to the wall as to the actual usable weight capacity. •These wall mount brackets do not come with hardware to mount them to the wall. Please visit your local hardware store for advise on which type of fastener will work best for the wall you're mounting these shelves onto. 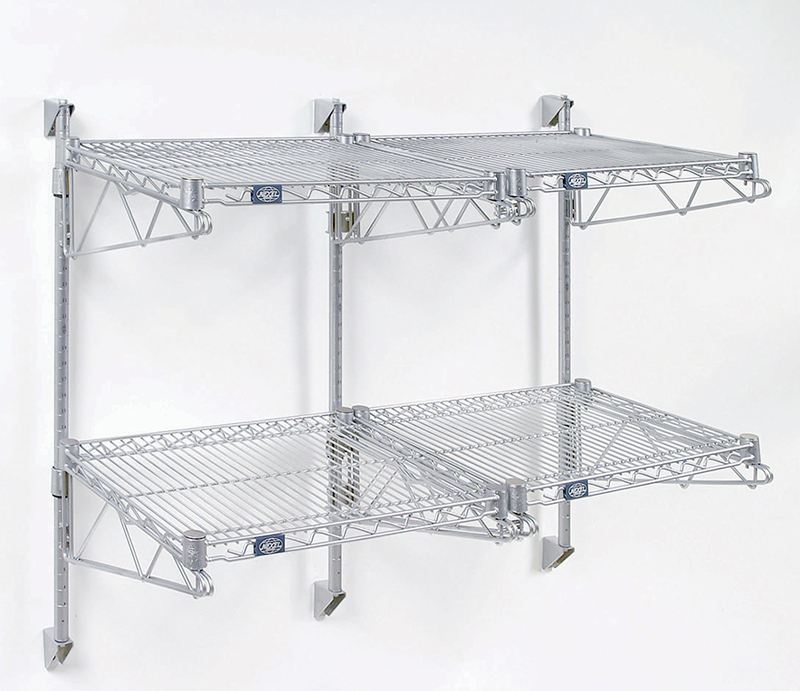 •Cantilever shelves do not use brackets and have a weight capacity of 40 lbs per shelf.